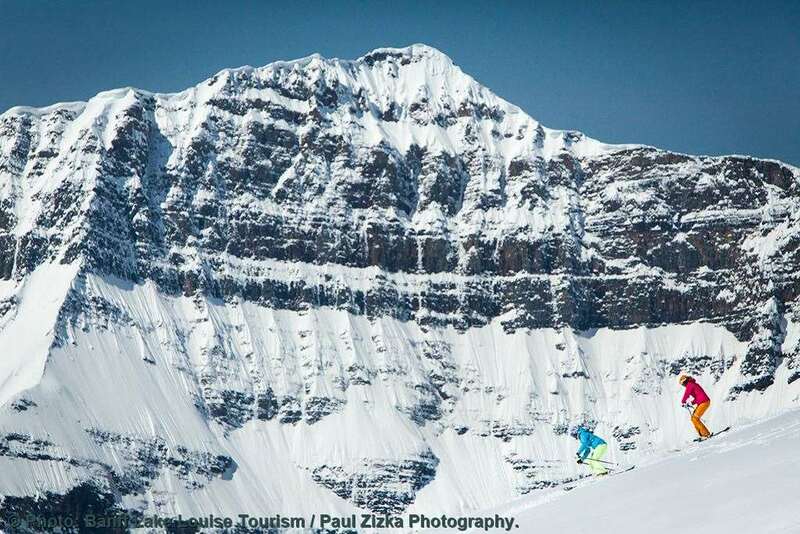 Based in the heart of Banff National Park, Sunshine Village offers some extraordinary views of the majestic Canadian wilderness. Visitors can expect an incredible atmosphere uninterrupted by modern civilisation. The world-renowned area features more than 3,300 acres of skiable terrain and excellent facilities. No matter what your ability level is, there will be several options to help you develop your skills and confidence. On top of this, there is a great variety of different bars and restaurants to keep visitors entertained while they are away from the slopes. 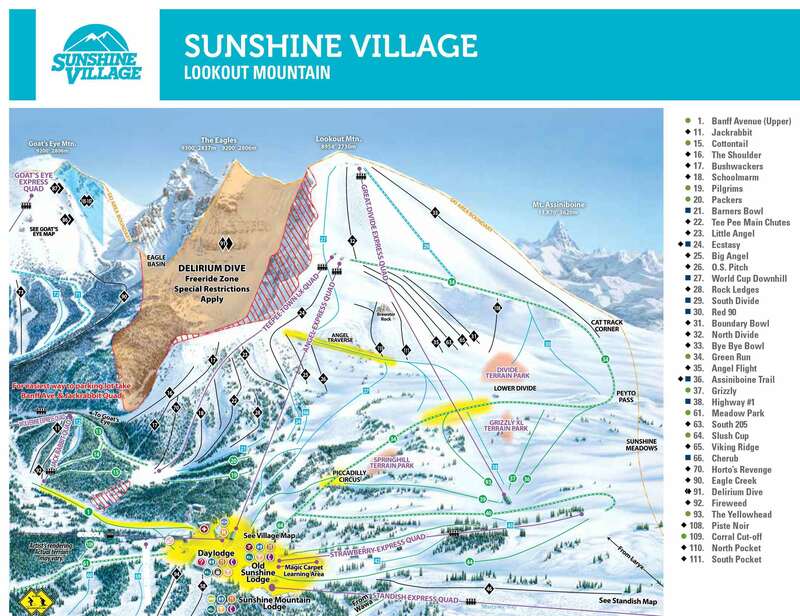 A lift pass at Sunshine Village will boast access to Banff and Lake Louise as well, offering terrain reaching 200km across all three resorts. The runs are set at an altitude of 2,160m and 29 ski lifts make sure visitors can explore all of the incredible routes available. There are several runs aimed at beginners and intermediates, whereas experts should turn to Goat's Eye Mountain for more challenging routes. On top of this, there is a snowboard park onsite, so it’s not just skiers who will be left happy. Across Sunshine Village, there is a variety of excellent restaurants to choose from after a long day on the snow. The Chimney Corner Lounge is a popular spot, with an excellent menu, live sport and fireplaces to give off a wonderfully cosy vibe. Elsewhere, the Eagle’s Nest is a more upscale option, where visitors can take their pick from a menu of upmarket cuisine and some mouth-watering wines. If you still want to explore the wilderness, snowmobiles and snowshoeing trips are available, enabling skiers and snowboarders to make the most of this picturesque destination. 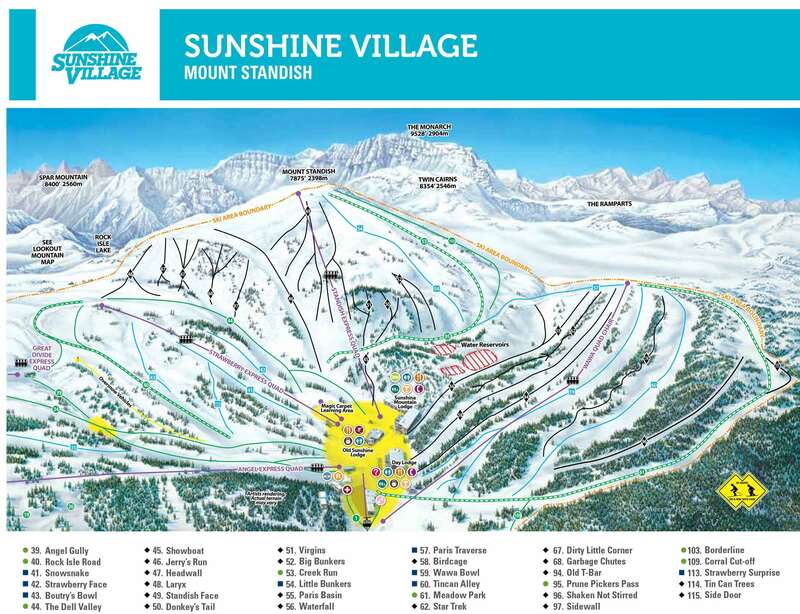 Banff’s only ski-in, ski-out accommodation, Sunshine Mountain Lodge, is situated at Sunshine Village making it an ideal base for those who just want to ski. 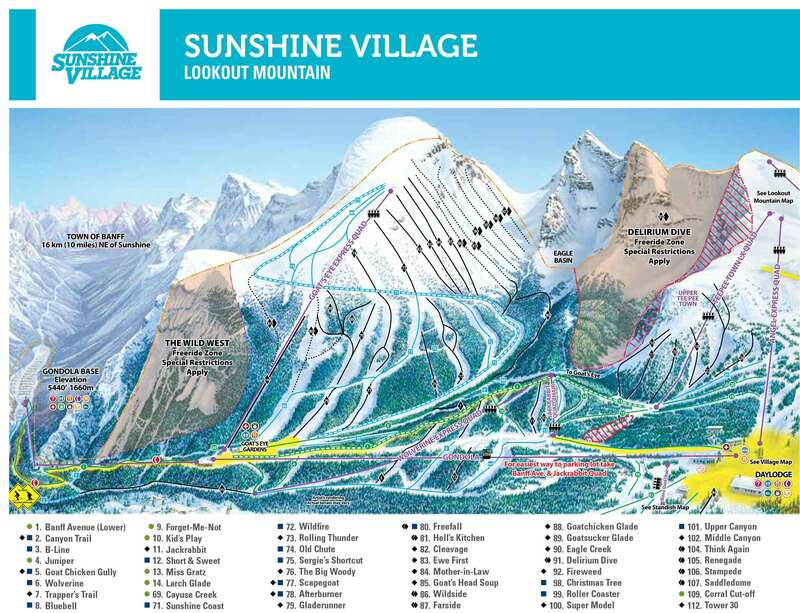 Calgary Airport is the closest departure point to Sunshine Village and is reachable in around 1 hour and 40 minutes.